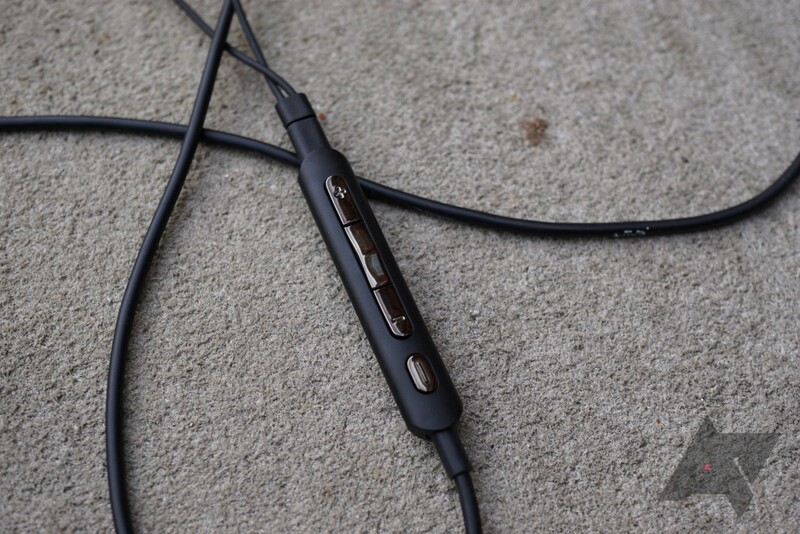 Several USB-C earphones have appeared on the market in the past year or so. I very much enjoy using the noise-cancelling Libratone Q Adapt that we reviewed last year, though the $149 price tag might put it out of reach for many. On the other end of the spectrum is the $19 Essential Earphones Mini, which just isn't very good. Essential's more premium offering, the Earphones HD, now goes for $49 (half of its original MSRP) — a sweet spot pricing-wise, but it's still riddled with compromises. 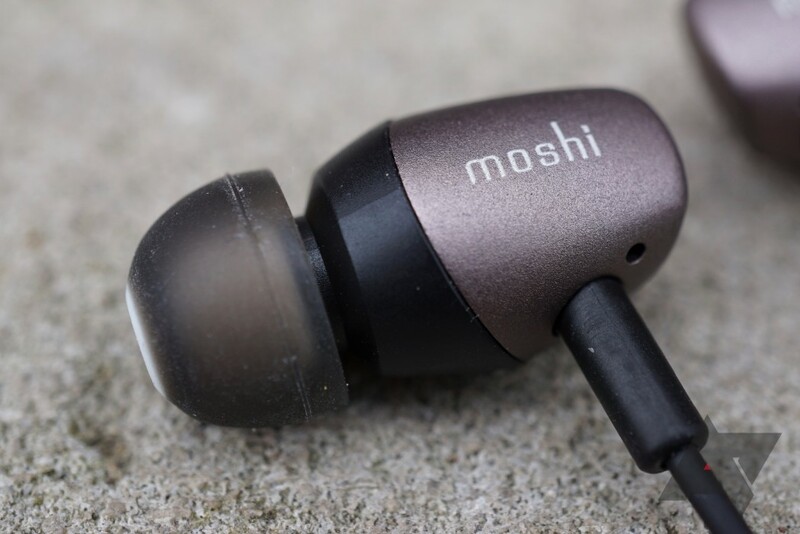 I wasn't sure what to expect from the $49.95 Moshi Mythro C, given that Moshi isn't traditionally known for its audio products, but I'm pleased to say that it's definitely worth your consideration. It sounds good, looks nice, and it's priced well. You can't really ask for much more out of a pair of earbuds. Design and build The two-piece aluminum/plastic build is attractive without being too busy. Sound It's clear and sounds better than competitors. Price At $50, this offers great bang for the buck. Build (again) Although the housings and buttons feel solid, the wires and inline controls feel a bit fragile. 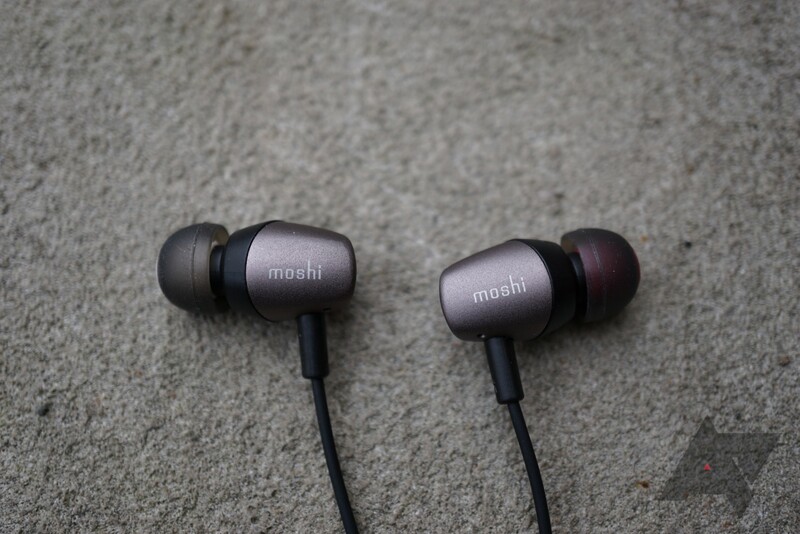 Like most of Moshi's products, the Mythro C's design is clean-cut and good-looking. 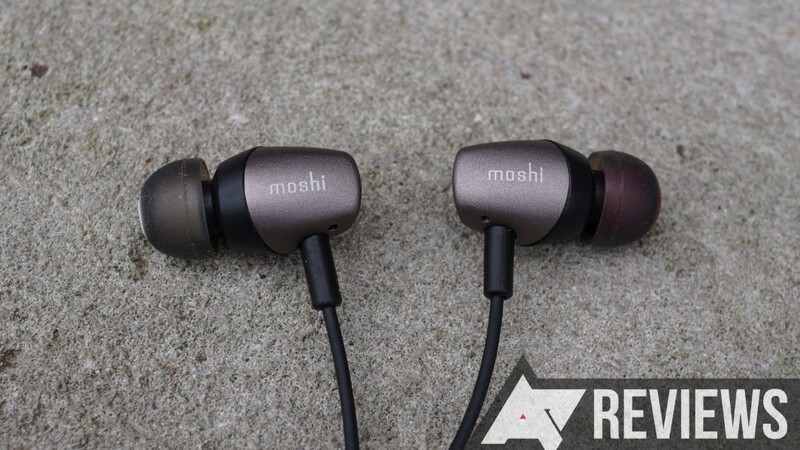 The housings are composed of brushed aluminum and a matte plastic, both of which present well. There's some subtle Moshi branding on the side, as well as a red accent on the right-side bud's tip to prevent confusion. The build quality seems solid overall, with no noticeable signs of wear or other issues after several weeks of use. Granted, only time will tell how it holds up in the long-term. Fitment should be fine for most people; three sizes of tips are included, and I ended up using the smallest ones. The seal is very good, and I never felt like the buds were about to fall out of my ears. The inline control piece is completely plastic and does feel a tad cheap, as do the wires leading up to the buds from the inline controls. There are four buttons, all of which are plastichrome. From top to bottom, they're for volume up, play/pause, volume down, and a "DJ Boost" button that launches presets in the companion app (I'll get to this later). All of the buttons worked fine on my Pixel 3 XL, though the double-tap to skip song functionality unfortunately isn't present. As with most earphones, holding down the play/pause button launches Google Assistant. It comes in two color combos; I was sent the Gunmetal Gray model, which features gray aluminum, black plastic, and black wires. The Jet Silver combo uses silver aluminum, white plastic, and white wires, dramatically changing the look. I think the Gunmetal Gray suits these earphones much better, but it's all personal preference. 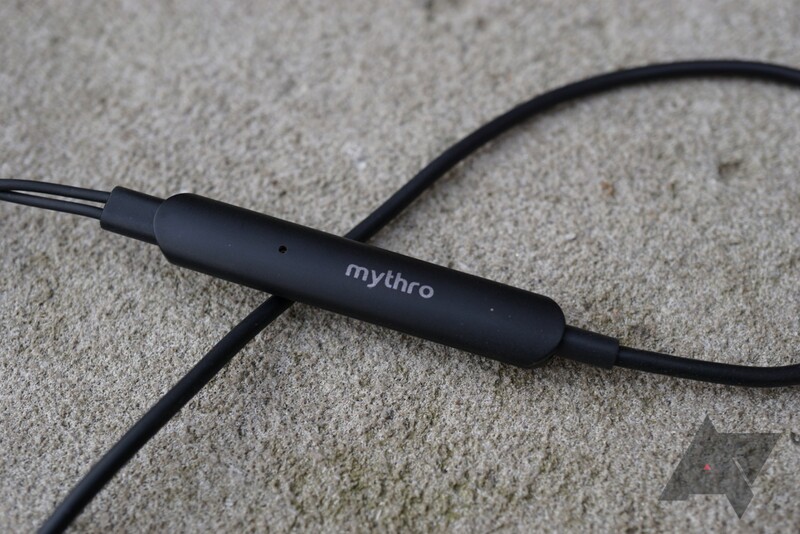 The Mythro C offers great audio quality for the money. I found it to sound quite similar to the $149 Libratone Q Adapt, which is impressive given that the Mythro C costs a third as much. Mids and highs are clear, and as with most headphones, the bass is slightly boosted (but not excessively so). Out of the box, the Mythro C's sound is pretty natural, though there are some presets that can be toggled with the "DJ Boost" button that I'll get into shortly. 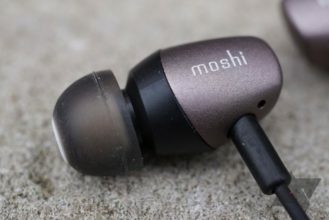 I wasn't sure what to expect from these $50 buds given my experience with the slightly cheaper $40 AIAIAI Pipe 2.0 earphones (tl;dr: they sound terrible), but I'm glad that Moshi made these sound as good as they look. 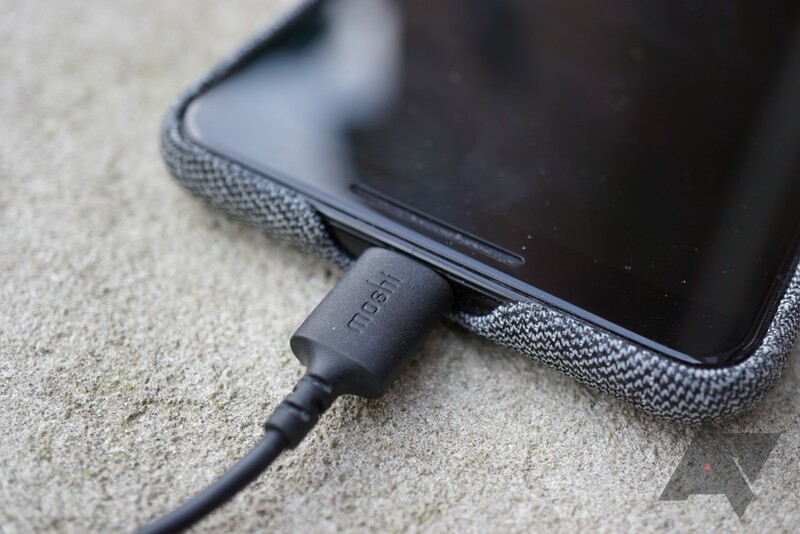 Moshi actually offers two companion apps for the Mythro C in the Play Store. One is called Burn-in Tool, and it basically plays a variety of frequencies through the earphones to break them in. I didn't really notice much of a difference after the default two hours of burning in, but perhaps you will. The other, primary companion app is called Moshi Digital Audio. As far as companion apps go, it's fairly barebones, but that's not necessarily a bad thing compared to the overloaded apps that some companies put out. The app features three presets: Moshi Preset, Bass Boost, and Treble Boost. 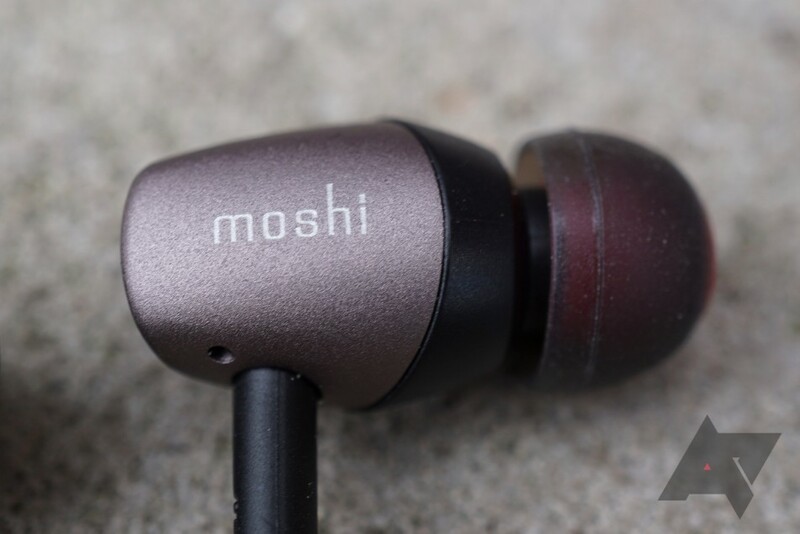 Moshi Preset simply livens the sound up a bit, which some may like. Bass Boost and Treble Boost are pretty self-explanatory. There's also the option of creating your own EQ, which is nifty. Whichever option you're currently on is toggled on and off via the "DJ Boost" button on the inline controls — you have to go into the app to actually switch presets. The Moshi Digital Audio app also exists to update firmware when it's available, though I didn't received any updates during my testing. Yes. With the Mythro C, Moshi has crafted a great set of USB-C earphones that should be more than adequate for most. It's well-designed, it sounds good, and the companion app's tunable EQ is useful. 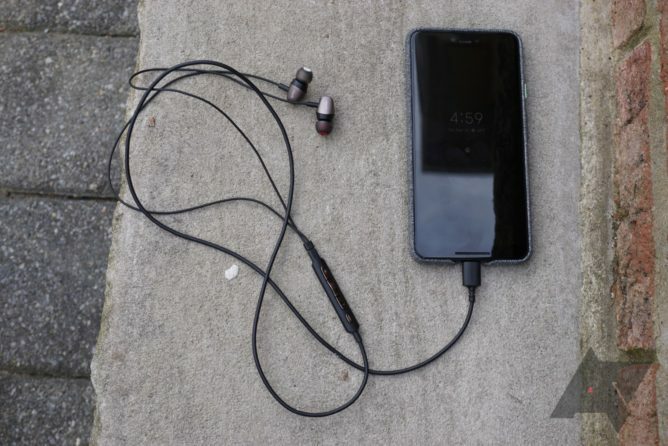 I'd recommend the Mythro C to anyone with a headphone jack-less phone who isn't satisfied with the earbuds that came in the box. At $50, it's a good deal. Direct competitors at this price point include Essential's Earphones HD and Xiaomi's Mi ANC buds. I haven't had hands-on time with either, but our own Ryne wasn't a fan of the Earphones HD due to a constant background hissing. I've heard good things about Xiaomi's offering, but many reviews state that it has too little bass. The Mythro C doesn't have any major flaws of the sort, and I don't think you'll be disappointed if you pick a pair up. We're giving it a spot on our Most Wanted list. You need a good pair of earphones with a USB-C connector. 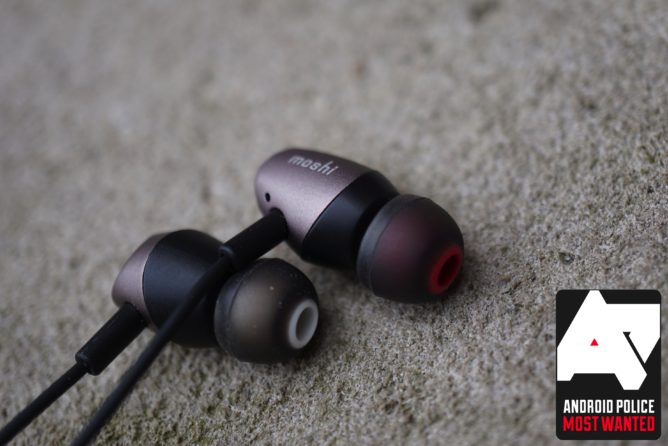 You don't think you can handle the Essential Earphones HD's background hiss or the Xiaomi Mi ANC's poor bass. You want an extremely durable pair of earphones.